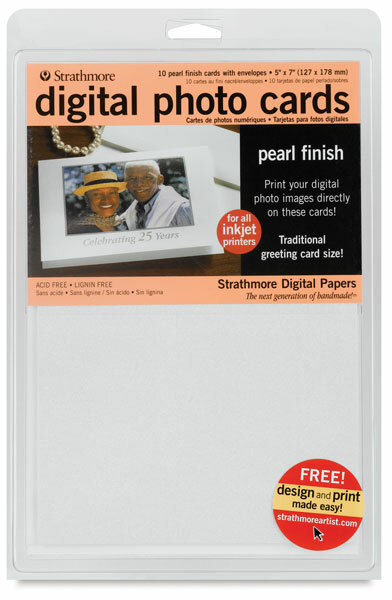 Finally, an inkjet printable card in a traditional greeting card size. Unlike oversize half-fold cards or undersize quarter-fold cards, these are true, 5" x 7" size, and come scored and folded, just like the professionally printed store versions. Pearlescent surface adds a soft glow to photos. 81 lb (220 gsm).